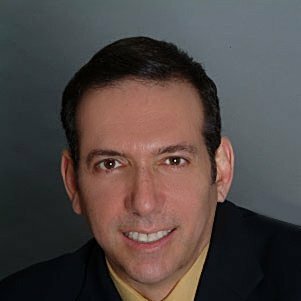 I write blog articles about the stuff that matters to you: dealing with costly compliance and saving yoursellf some money and some headaches. If that sounds like something you’re interested in, subscribe today. 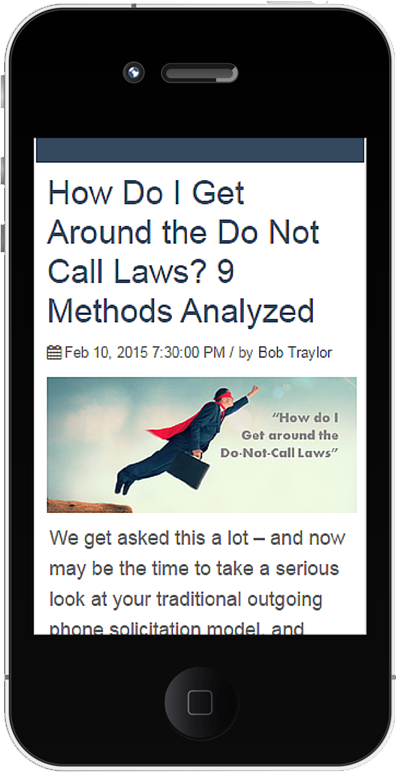 I’ll even send you the FREE 2015 Guide to Do-Not-Call Scrubbing - Including Cell, Previous Litigants and VoIP! B2B companies generally think they’re exempt – from everything! Dangerous. But how can you identify wireless numbers in social media sourced lists without crippling the sales team? The FTC says small/medium businesses retain their consumer DNC rights. So how do you register for free, and scrub, without giving away too many numbers? As an independent professional phone sales person or administrator of multiple offices - whether Real Estate, Insurance Agent, Financial or Mortgage broker – it can be tough to keep your call protections in line. Especially with the 5 states banning even hand-dialed cell calls. Although we can't endorse any particular Do-Not-Call or TCPA solution service provider - we're a big fan of Bob's laid back, home grown delivery describing the latest compliance challenges and solutions for businesses. A fresh, easily understood and entertaining look at the constantly changing world of outreach communications. Bob’s commitment to pointing out today’s DNC & TCPA challenges and solutions is important for our industry. Finding solutions to confusing and conflicting compliance regulations is critical. And, as we wait for much needed reform on these laws, Bob reminds us to take call prohibitions seriously – as they have serious ramifications, especially when dealing with class action litigation. Neither my firm nor I can endorse any particular Do-Not-Call or TCPA solution service provider - However, as a former AG manager, I know first hand how difficult it can be to get "compliance" front and center on a company's radar! Bob's tireless efforts to help businesses find sustainable solutions to their calling challenges over the past 15 years has been a welcome voice in our industry. Please - listen to Bob when he talks about the latest call prohibition challenges and solutions. If I sue a telemarketer in federal court, I'm going to hit them up for $500 to $1,500 a call. I'm going to get a judgment against them, assuming they are viable. I register that judgment in the federal district court where they are located and I go ahead and do what people do with a judgment — lien the business property, bank accounts, and more. Believe me, you don't want to be caught in that position. Oh, did I mention you will also immediately get the FREE 2015 Guide to Do-Not-Call Scrubbing - Including Cell, Previous Litigants and VoIP!